A pretty quiet month to open the year. With the snow and ice eventually disappearing, some small movement of returning birds was noted and there were several days of cross country goose passage. 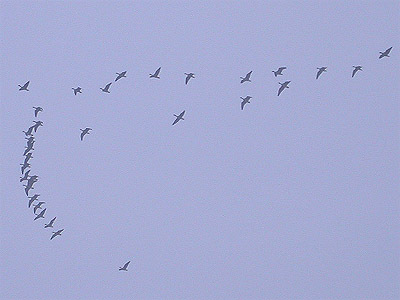 Pink-footed Geese were recorded over the area with c230 west over Red Hill on 2nd, two skiens of 127 and 278 west on 29th, before a good total of 768, during the early morning of January 30th, with skiens of approximately 464, 260 and 44 all through west. The thawing of Eakring Flash saw the first returning Shelduck of the year (20th) and a low peak count of just 13 Teal (19th) A single Pochard was present at Eakring Flash on 2nd, but seven Pochard on 14th represented what has now become a decent total for this site. Similarly, three Tufted Duck present on 14th could eventually turn out to be the highest count of the year by December, another common duck that has declined. 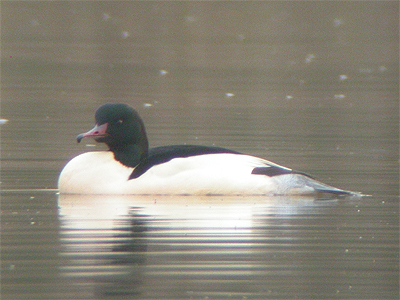 A drake Goosander was at Eakring Flash during the late morning and early afternoon, till it flew off west on 19th. Several Common Buzzards remained in the area throughout, with just a male Peregrine over Red Hill (10th) representing anything unusual. Gull counts were low during the month, with 34 Herring Gull and 45 Great Black-backed Gull south-west on 2nd being the best achieved and there were no Common Snipe found until one returned back to Eakring Meadows on 29th. 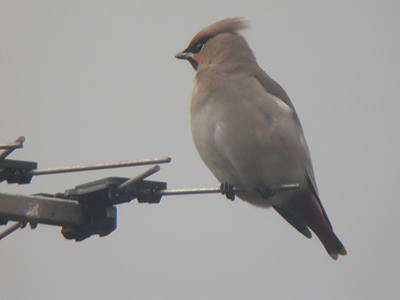 Three Waxwing present near the Powergen offices in Eakring village on 2nd, were obviously the month's highlight, occurring on a day that seemed to produce numbers of Fieldfare in the area and also flocks drifting through. Counting was difficult, but there were at least 280 Fieldfare at Eakring Flash and further 500 in fields at Church Hill on 10th and a minimum of 400 at sites across the area on 20th. 36 Redwing east on January 30th, was the best count from this other Scandinavian visitor. After the thaw, a small movement of 18 Sky Lark north and 18 Linnet north-west was noted (2nd) whilst a single flock of 48 Siskin flew east over Eakring Flash on 20th. A count of seven Bullfinch at Eakring Meadows (29th) was probably the largest single group ever recorded here. The area was extremely quiet on just two visits to the area. The first Coot arrived back at Eakring Flash on the 10th. 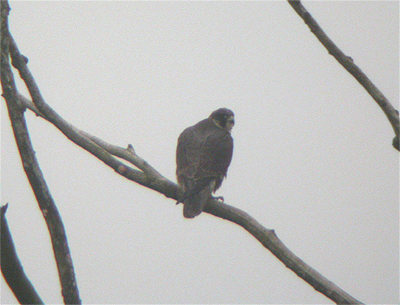 An immature female Peregrine was sat on a telegraph pole at Eakring Field Farm briefly before flying off towards Tug Bridge Farm and a female Pochard was at Eakring Flash (12th). Better coverage of the area during March ensured some good site records. Common Buzzards maximum of eight over Lound Wood and Red Hill late morning, with two in the Leyfields area. Possibly three of these were migrants, gaining height and drifting off north-west. There were no site visits during daylight hours during this period.